What do I need to know about storing? Suggestion number one: call or visit Climate Storage at Pellissippi and Hardin Valley. Our address is 10630 Hardin Valley Rd and our phone number is 865-444-0919. One of our experienced, service-oriented storage professionals can help you through the decision making process. If you’d like to start off on your own, that’s okay, too. The biggest decision you need to make is: What am I going to store? Do you want to store EVERYTHING (couches, appliances, bedroom sets, the lawnmower, kitchen utensils) OR do you want to store just enough to make your home or business seem a little more spacious? I know what I want to store…now how much is it going to cost? Again, this is a question we can help you with, but we understand you want to make sure you’re getting the best value for your dollar. Climate control is going to cost more than NON-Climate control and the reason is simple.Just like you, storage companies have to pay an electricity bill each month. However, don’t make a decision based on price alone. Factor in amenities that may be important to you. Do you want access to your items 24 hours a day, 365 days a year? Do you want your items to be in a climate-regulated environment? Do you want the latest and greatest security features? You should write down a list of “amenities” you would like from your storage company as different facilities will have different features. Newer facilities may be a little more expensive, but they may offer more in the way of clean units with top of the line security features. Less-expensive facilities may be less-expensive because they’re old, their units are not as clean, and they’re more prone to leaky roofs, insects, and rodents. How do I know what to ask for? Storage is like real estate. Location, location, location! Along with prices and sizes, ask if the unit is close to the entrance (if you’re going to be storing inside). If you’re storing outside, ask if there are any units close to the office. Indoors, the most secure units are generally farther away from the door, but outside, the most secure units are generally closer to the office. On the flip side, a unit closer to the door means fewer steps you have to take to load or unload your stored treasures. Ask if the facility has had any break-ins, insect or rodent problems, or water damage. Most storage managers are honest people and will give you an honest answer, but the best thing you can do is VISIT THE FACILITY! That way, you can see for yourself, what the state of the storage units is. Ask if there are any specials. Most storage companies know what their competitors are doing so, chances are, if one place is offering a special, a lot of the others are too. Specials can be deceiving though. A very, very low move-in price can be a signal that the facility has a bad reputation and the only way they can get business is by offering much lower pricing than their competitors. The old adage you get what you pay for may be a good reason NOT to store at a cheap facility. If there are specials, ask how long they last and what the rent increase policy is. Most specials expire between one and three months. If you stay long enough, your rent WILL increase. 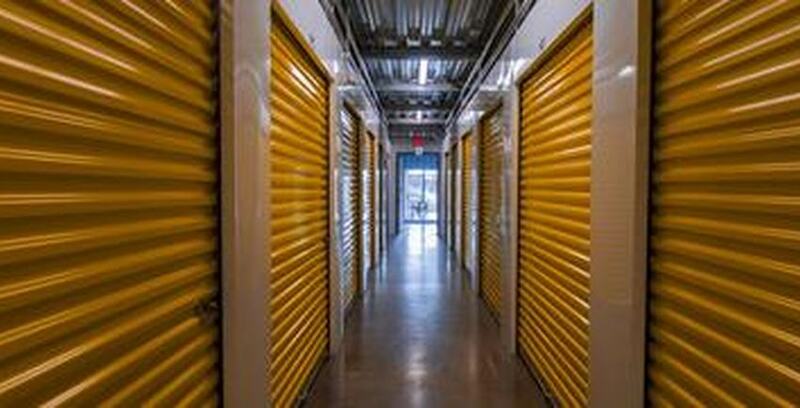 Storage companies would go out of business if they kept your rent at the same level as it was when you moved in. The good news is that most rent increases are for very small amounts and occur only once a year. If a company representative tells you that you won’t pay a rent increase while you store, they’re lying. Run away fast! Close to home or work? A lot of people choose to store close to their home or business. That’s because, when you need to get something out, it’s not inconvenient to get to the storage facility. There may be a better price somewhere else in town, but you’ve got to factor in the time and fuel it will take you to get there and back when you need to drop off or pick up something. The same argument can be made for moving supplies like boxes, bubble wrap, or tape: is it really worth the time or effort to travel across town for a better price on moving supplies when the storage facility has them right there for you? Most of the time, the moving supplies at a facility are of a higher-quality than what you might find at a discount store or discount storage place. Pack several small boxes rather than just a few large ones. Glass or fragile items should be packed in foam peanuts, newspaper, or bubble wrap. Pack larger, heavier items at the bottom of the box and lighter items toward the top. Use pillows, washcloths, towels or even clothes to fill spaces when packing fragile items. You’ve already got them. Why pay for more packing supplies? Tape and LABEL!!! Over-tape to make sure boxes don’t come apart or drop your valuables during the move and clearly label boxes as to what’s inside. Don’t just put “Kitchen” on a box. It’s much better to be more specific like “glasses” or “china” so both you and your movers know what’s inside. If you use plastic totes, make sure you use the CLEAR ones…not the colored ones. When you need something and you remember it was in a tote, it’s much easier to find it if you can see what’s inside the tote rather than having to guess. DON’T STORE FOOD! You may see value in storing things like boxes of cereal or cans of vegetables, but these items are magnets for insects and rodents. Storing food is like putting a “Welcome” sign on your storage unit door inviting all the bugs and rats to come in and take up residence in your storage unit. This is also prohibited by most lease agreements, so you could be evicted if food is found stored in your unit. Wrap your mattresses! There’s no guarantee that the people using the rental moving truck before you weren’t slobs that had bedbugs or other vermin in their stuff. As soon as you take the sheets off, wrap your mattress in a plastic cover and duct tape it closed. Many storage facilities also sell mattress covers in their office. Your mattress may have cost you hundreds (or thousands) of dollars. Is it worth the risk of bedbugs or stains for just a few dollars for a mattress cover? Self Storage Insurance: Is It Worth it? Climate Storage's Free Move In Truck! What does Climate Storage do?